Today is the 50th anniversary of Martin Luther King’s “I Have a Dream” speech, delivered during the now famous March on Washington. To mark that date, Culture on the Edge asks: Do you know who Claudette Colvin is? For if we’re marking anniversaries, which are part of a discourse on origins, after all — anchoring the present as significant inasmuch as it is somehow related to an authoritative, annually commemorated past — then, given this blog’s critique of how we usually think about identity, there might be something interesting to learn by taking a moment today to look at how we today talk about that period in U.S. history that we now know as the civil rights movement. Or, more specifically, to ask how we pick our origins points and the anniversaries that we celebrate, and what these choices about the past have to say about who we think ourselves to be today? 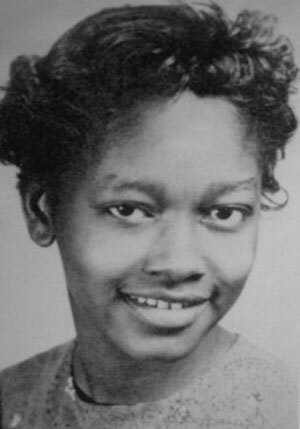 So, back to Claudette Colvin…. So, while not wishing to take anything away from the actions of any of these people (since the focus here is on us and our choices, not them and theirs), why do we today celebrate the actions of Rosa Parks and not Claudette Colvin? Why does the former’s name conjure up a specific sort of experience for those who hear it today while the latter’s is, likely, utterly unknown (at least to many of us)? Was it an issue of one social actor having a “natural gravitas, … [and being an] inherently impressive person,” as one fellow in the radio story claims about Parks (a good example of an essentialist account) or, as Colvin suggests in the same story, was it because she herself did not “fit” what some thought was the “proper” image of an African American at that time (a good example of a contextual, socio-political, even economic explanation)? So why is it worth knowing who Claudette Colvin is? Because it helps us to ask who we are by looking at the sorts of origin points that we select and the choices that we make..